The mission of the Holocaust Council of Greater MetroWest NJ is to remember the Holocaust and convey its history and lessons. 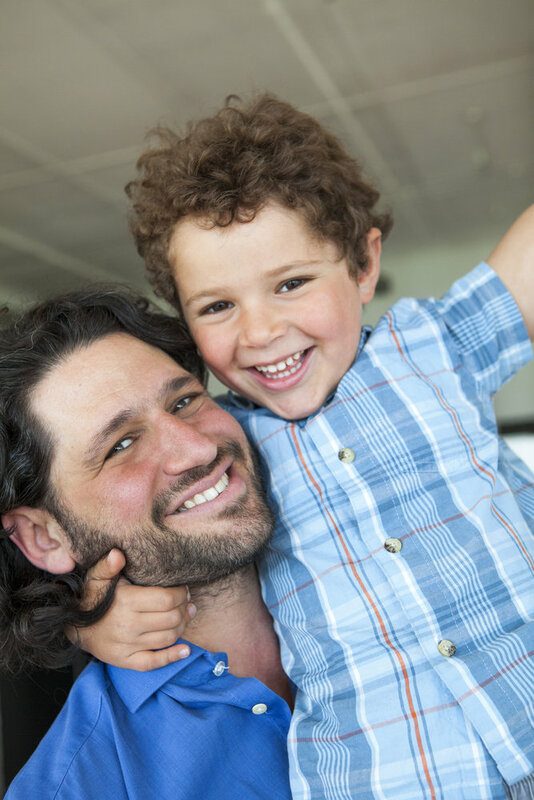 In this context, we address the central tenets of what it means to be a moral and responsible citizen. Among the programs the Holocaust Council helps plan and facilitate are The Morris Rubell Holocaust Remembrance Journeys and the follow-up “From Learning to Action” annual seminars. The journeys are one-day journeys to the USHMM in Washington, followed by a visit to the Lincoln Memorial and the Dr. Martin Luther King Jr. Memorial. Breakfast and dinner are served on the bus, lunch is eaten at the museum’s café and the day is fun but also highly educational and inspiring. The bus serves as a moving classroom and includes both Michael Rubell, the founder and president of Teamworks, Inc. and one or two survivors. 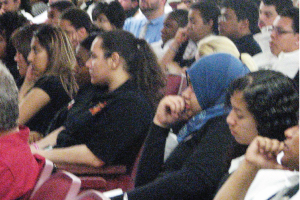 The programs are free to schools. For more information and to apply, please click on the links below. Unconquered Souls Trailer from IPAK Productions on Vimeo. Unconquered Souls has it all. It’s the story of Anitta Boyko Fox and her family who fled Vienna after Hitler’s rise to power and Kristallnacht. It’s about survival, migration, resilience in the face of trauma and displacement, entrepreneurship, Zionism, the use of cutting edge science and technologies to assure the establishment of an emrging nation at existential risk, art, romance, and dogs. Be an Upstander Trailer from IPAK Productions on Vimeo. Please view our new movie trailer BE AN UPSTANDER: The Fred Heyman Story, a film produced by our own former volunteer intern, Howard Goldberg (with the help of IPAK production company), now a junior at Ithaca College, and Fred’s “twin.” Film premiere updates will be coming shortly. Survivors Speak is a program originally developed by the Holocaust Council of Greater MetroWest for the Morris Museum as part of their outreach to schools. 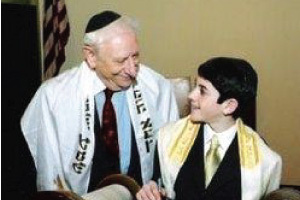 The Holocaust Council of Greater MetroWest created Twin-With-a-Survivor in 2001 to provide B’nai Mitzvah students the opportunity to make personal connections to Survivors who exemplify continued commitment to the Jewish community. 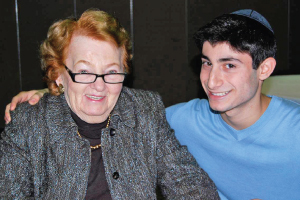 Adopt-A-Survivor is a program “to preserve and perpetuate the N’shamah – the soul and spirit of Shoah Survivors.” The program pairs a Survivor with one or more students. The student(s) become familiar with the Survivor’s life in order to tell that Survivor’s story in a public venue in the year 2045, a hundred years after the liberation of Auschwitz.